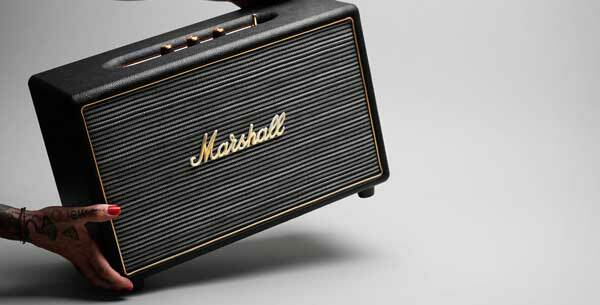 Marshall, one of THE names in guitar amps, has in the last few years begun to add its name to some audio products outside the rock and roll stage. There was the Pure Evoke 1S Marshall digital radio, and the Marshall Major Headphones and Marshall Minor Headphones. Now, the Marshall Hanwell speaker. 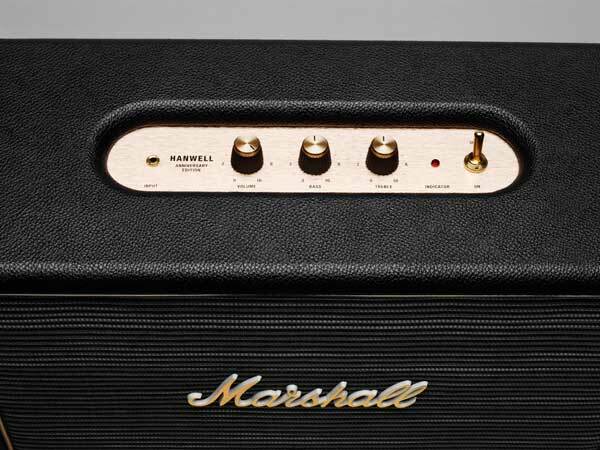 The Marshall Hanwell will be available as a limited edition product. It’s a speaker box for your iPod, iPhone, or <insert name of popular portable music player here>. 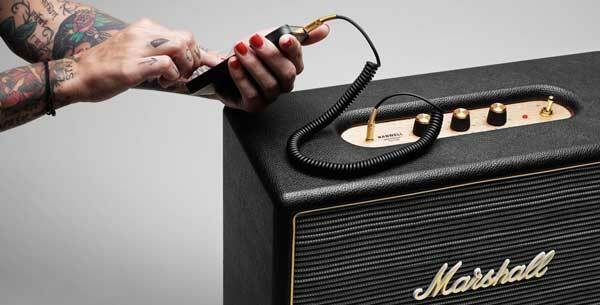 Not for the Marshall Hanwell is any of your new-fangled wireless, Bluetooth, or Air Play technology. Instead, you plug one end of the curly cord into the headphone jack of your music device, and the other end into the top of the speaker. Adjust the volume, bass and treble knobs to your liking, and manage the on/off business with a classic metal toggle switch. The Marshall Hanwell is due for a release this month.